Spotlight on Paper Girl (Cindy R Wilson), Excerpt, and Giveaway! 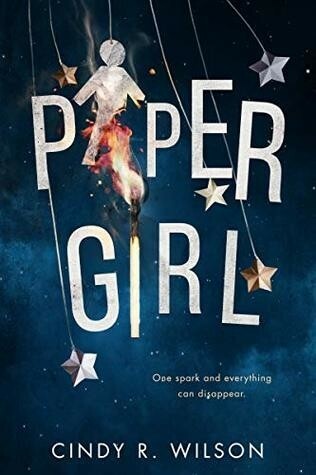 Today we're excited to spotlight Paper Girl by Cindy R Wilson. Read on for more about Cindy and her book, an excerpt, plus an giveaway! Instead, I built paper art in the study and pretended I cared about my sister’s cheerleading squad. I pretended to watch my mother’s YouTube videos as she addressed the world like they were all her closest friends. I pretended to want to see my grandparents when they came back from their visits to Japan with Hello Kitty purses, thinking my sister and I were still five years old. I pretended to be able to breathe as the world closed in on me. Explosive cover art, and it looks like a really great story. Adding to my wish list as I think it is a book my granddaughter would enjoy. I've heard good things about this book! The cover is unique. The cover art is outstanding and it sounds like this could be a great story. I've heard good things about this novel. Good luck with it. Beautiful cover! I would love to give this book a read! I love the cover and it's high on my favorites list. The synopsis sounds amazing and emotional. The cover is very vivid. The synopsis sounds interesting.